The backbone of many a garden, Hydrangea are a popular landscaping plant with wholesale growers offering a number of species and cultivars, many with improved flowers and better heat tolerance. 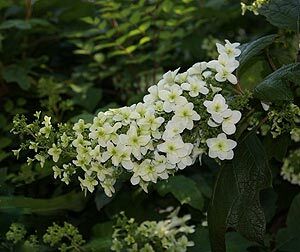 With great foliage, brilliant flowers and the ability to grow as well as flower in shade, Hydrangea varieties are making a big comeback as landscaping plants. Flower colours and forms differ with variety and Hydrangeas make good background plants as well as feature plants in the garden. Grow them for the foliage or grow them for the flowers, easy care Hydrangeas are a wonderful landscaping plant for both domestic and commercial plantings. With flowers that put on an impressive floral display it is no wonder that Hydrangeas are also very popular in the cut flower industry. Sometimes seen as needing lots of water, it is more shade and good soil that make these plants thrive. Very easy to prune and virtually disease and pest free, these are a versatile group of plants, flower colours varying from white through to pink blue and red depending on the species and cultivar. Generally sold as advanced specimens in containers Hydrangeas hold great appeal in many gardening situations.